On January 4, 2019, ZTF caught the near-Earth asteroid 2019 AQ3. 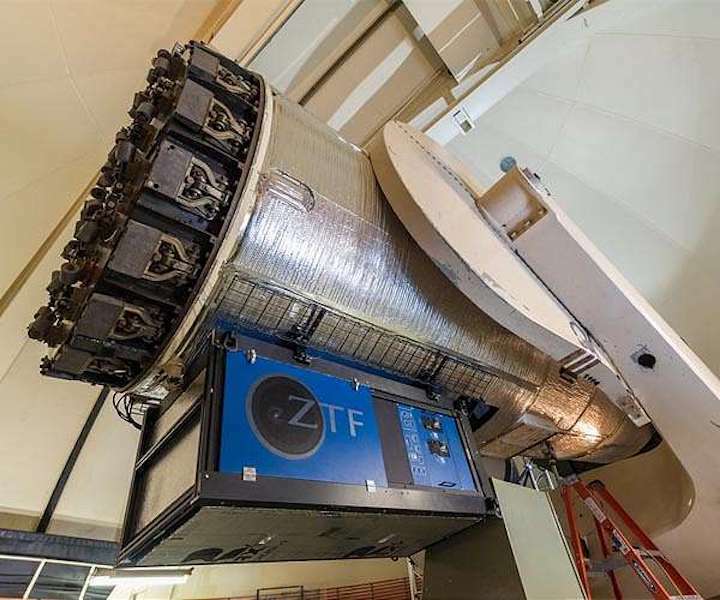 "This is one of the largest asteroids with an orbit entirely within the orbit of Earth - a very rare species," says Quanzhi Ye, a postdoctoral scholar at IPAC who first spotted the asteroid in the ZTF data. Tom Prince, one of the co-investigators of ZTF and the Ira S. Bowen Professor of Physics at Caltech, says that the instrument is particularly adept at identifying new gravitational-wave sources - in particular, pairs of compact stars like white dwarfs - that will be observed with future space-based gravitational-wave detectors.